David Benioff and D.B. 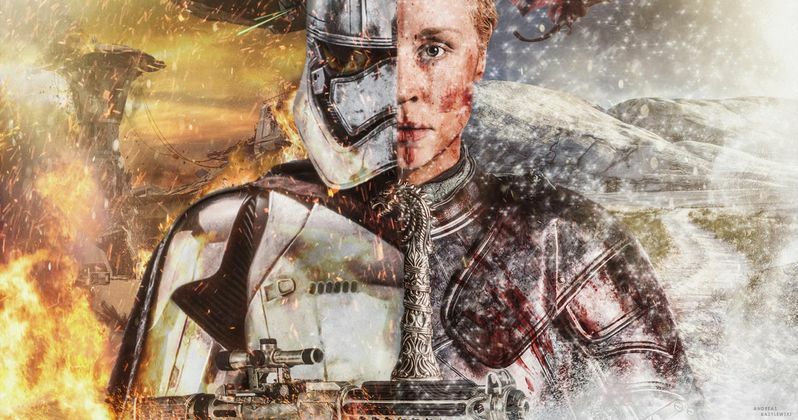 Weiss, the creators behind HBO's Game of Thrones, are now believed to be making a whole new Star Wars trilogy for Lucasfilm, though the exact number of movies hasn't been confirmed by anyone associated with Disney. The news of Benioff and Weiss being tapped by the studio to bring their talents to a galaxy far, far away is nothing new, as this was initially announced in February 2018. However, at the time, it was billed as a "series" of movies. Beyond that, it was painfully unclear. Now, we have word from someone supposedly in the know that it's going to be three movies. This comes from HBO network president Casey Bloys, who was recently in attendance at the Television Critics Association winter press tour. At one point, he was asked about their controversial series Confederate, which David Benioff and D.B. Weiss are heading up. The show is set in an alternate reality in which the southern states won the Civil War. That series has been delayed due to their Star Wars commitments. Here's what Bloys had to say about it. "Dan and David are finishing up the final season [of Game of Thrones] and then they are going to go into the Star Wars universe. When they come out of that, I assume they will come back to us... The delay has to do with [the fact] that they were offered three movies." It was largely assumed that this series of movies would be a trilogy, but now we at least have someone that seems to know for sure. Save for the standalone movies like Rogue One and Solo, the Star Wars universe has dealt in trilogies. So this lines up with the larger history of the franchise. But what will this mysterious trilogy be about? That's the larger, much more important question we still need answered. For now, there are only guesses and rumors to go on. The best guess is that the duo will be taking us back to The Old Republic, a time period thousands of years before the events of the original trilogy. The new canon, which was reset after Disney purchased Lucasfilm in 2012, hasn't dealt with this era all that much, but the Knights of the Old Republic video games remain some of the most beloved creations in the expanded universe to date. Given the sensibilities that these two have displayed previously as creators, it's something that would seem to make sense. And, given that this all takes place so long ago, it wouldn't really bump up against anything we're familiar with. It would be fertile ground for new storytelling. Lucasfilm's deal with David Benioff and D.B. Weiss is for them to write and produce the movies. For the time being, there is no word on who could direct, nor is it clear when production will actually get underway. That information, if we're lucky, will be revealed at Star Wars Celebration in April and we'll be sure to bring you any additional details as they're made available. This news was first reported by TV Line.